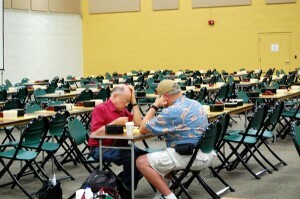 Players are beginning to arrive at the 2010 U.S. Go Congress in Colorado Springs, CO. Hundreds are expected for the year’s biggest go event in North America. The website will be updated on an ongoing basis, and the E-Journal will be sent out daily with updates. 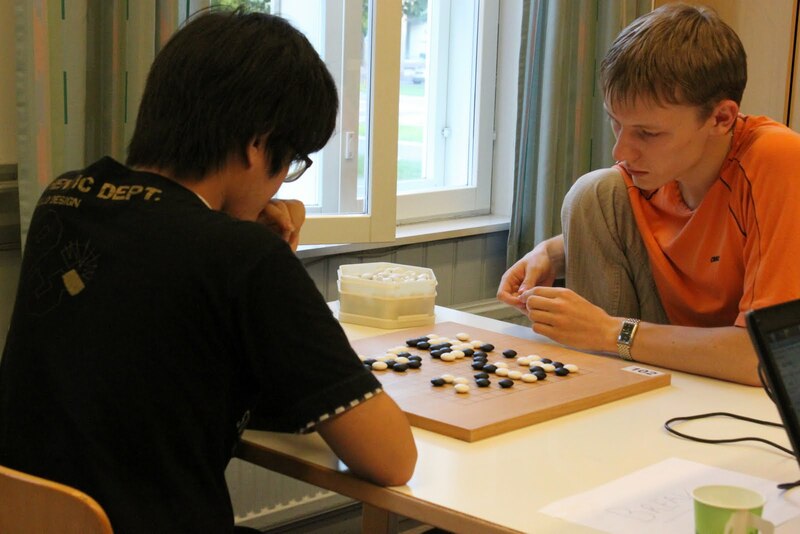 Ilya Shikshin 7D is leading the European Go Championship after the first week of the European Go Congress in Tampere, Finland. Click here for results through Round 5, as of July 30. Shikshin also won Wednesday’s 13×13 Tournament (r). Chin-seok Mok 9P and Klára Žaloudková 3D are the 2010 EGC Pair Go Champions, after forcing Laura Avram 2D and Ilia Shikshin 7D to resign. Click here for EGC news and results and here for EuroGoTV reports. Wolfram Research, makers of the renowned Mathematica technical and symbolic computing software, announced today that it’s donating ten student editions of Mathematica to be used as US Open prizes at the Colorado Springs U.S. Go Congress, which begins Saturday. 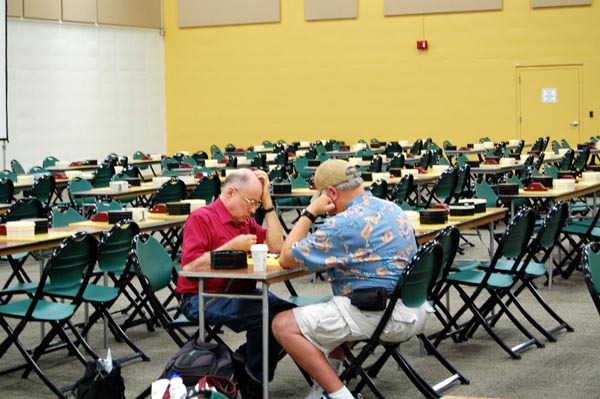 The current plan is to hold a drawing at the prize banquet from among the currently enrolled college students who won or placed in their division of the Open, though some may be used as prizes for other events. 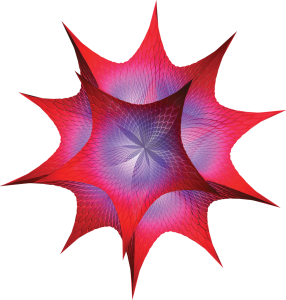 “I am delighted that Wolfram, maker of about the coolest math software there is, has decided to back the US Open,” said AGA Board Member Andy Okun. “They have a proud record of supporting math competitions and other educational activities and it is nice to be in such company.” Mathematica, created originally by physicist and computer scientist Stephen Wolfram, is capable of a huge and complex array of numerical and symbolic calculations, but uses a coding method so general that the user can combine any of the existing methods together or create new ones. It is widely used in science, industry, government, law, business and economics and its user base includes all of the Fortune 50. 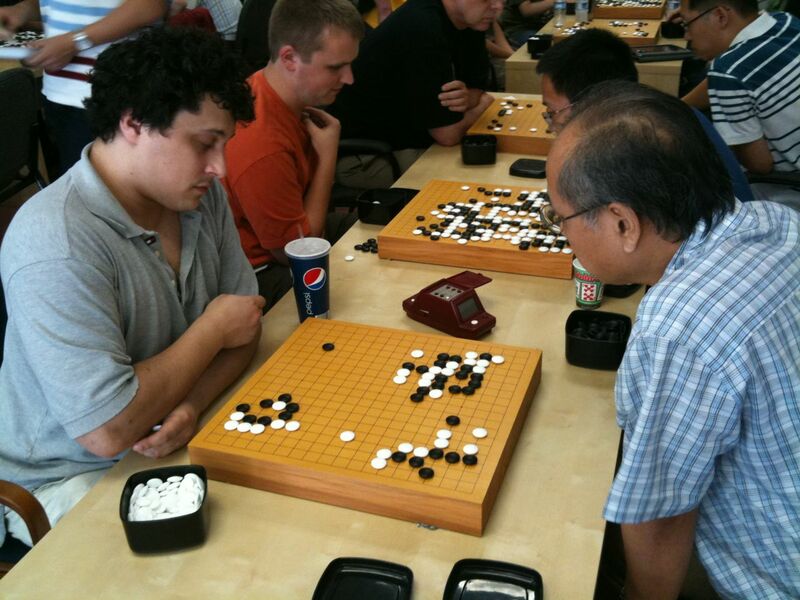 Professional player Janice Kim 3P addressed “stone capturing disease” and other go problems at a weekend go workshop in San Francisco, CA July 24-25. Students provided game records in advance so that Kim could prepare material geared to the specific needs of the students. Based on the records, Kim discussed blunders (such as losing the game when you are ahead), self-defeating moves (sente moves with obvious responses that don’t provide significant benefit), and “stone capturing disease”. 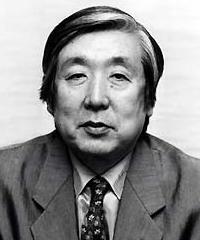 Kim co-authored the popular book series Learn to Play Go, and is one of only a few western women to be recognized as a professional by the Korea Baduk Association. The workshop was organized by Bay Area Go Players Association, which puts on monthly rated tournaments and periodic pro workshops in Northern California. An elderly man bit the thumb off a 71-year-old foe during a fight over a board game at a Queens senior center, authorities said yesterday. 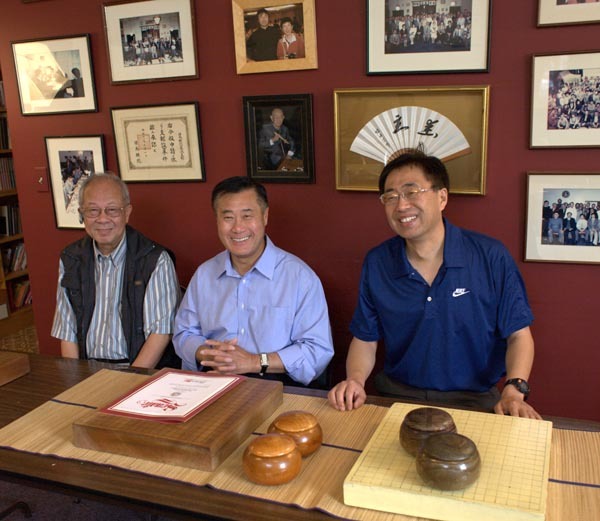 Bok Jin Kim, 74, allegedly began taunting his victim, Sang Lee, as Lee was playing Go — a Chinese game of strategy — with a pal at the Korean American Senior Center in Corona the afternoon of July 15. “Why did you make that move?” Kim allegedly snipped at Lee. “You’re going to lose!” Lee angrily responded, “It’s none of your business,” and the pair started heatedly arguing, law-enforcement sources said. Kim then allegedly grabbed Lee by the shirt, leaned over and chomped down on his victim’s thumb so hard that the tip, including the thumbnail, was severed, the sources said. Lee was rushed to a nearby hospital, where doctors were unable to reattach the piece of thumb, according to the police report. Kim was charged with assault. Brandon Gress 5d, Sung Yeo 4d and Lee Huynh 1d shared top honors at the July 24 Congress Tune-Up in Chicago, Illinois. There were 29 players, half of whom “came out for pizza, setting a new record,” reports TD Bob Barber. “And some got to show off their I-Pads,” adds Barber. Results: First Place Dan: GRESS, Brandon 5d, YEO, Sung 4d, HUYNH, Lee 1d; First Place High Kyu: NORMAN, Matthew 9k; First Place Low Kyu: SEIFRID, Alicia 16k. California Sate Senator – and Speaker Pro Tem — Leland Yee came to the San Francisco Go Club on Sunday, July 18th to present Mingjiu Jiang 7P with a Certificate of Recognition from the California State Senate in honor of the Ing Chang-Ki Goe Foundation and their continued sponsorship of the World Youth Goe Championship. This year’s contestants are both students of Jiang and he will accompany them to Peng Hu, China for the tournament along with Paul Barchilon. There Jiang will present the Certificate to Ing Ming Hao and Yang Yu Chia of the Ing Foundation at the opening ceremonies of the tournament. Love The Interactive Game Apps: “Just wanted to let you know I really love the way you have implemented the game commentaries as interactive web apps,” says Mark. “They’re great! The new Empty Sky Go Club t-shirts are now available. “This was designed by our very own Becky and it looks great,” reports club president Steve Colburn. The Hanes Tagless t-shirts in Kelly Green can be pre-ordered now; orders will ship by the end of the September, “just in time for the go tournament season!” adds Colburn. CLICK HERE to order.